Professional screen recording software for your Windows computer. Tipard Screen Capture 1.1.10 was available as a giveaway on December 23, 2016! 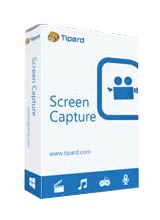 Tipard Screen Capture is the professional screen recording software for your Windows 10/8/7/XP computer. It can easily capture screen activities and record videos with high image and sound quality. The recorded video will be saved as MP4 or WMV depending on your setup. Whether you want to record online videos, gameplay videos for playback, webcam videos of Skype chatting, or capture desktop to make video tutorial for sharing online, this fantastic software can always be the first and best choice to meet your needs. Moreover, it has the capability to record any audio to save to your PC as MP3/AAC/M4A/WMA. Customized recording area, optional audio settings, selective recording time length will enable you to capture almost any video easily. How would you improve Tipard Screen Capture 1.1.10? Tipard Video Converter Ultimate is the all-in-one video utility of video converter, video downloader and video enhancer. It can help you to convert home-made DVD and other popular video/audio formats like MP4, AVI, FLV, MOV, MKV, MOV, WMV, MTV, 3GP, MTS, M2TS, MPG, MP3, AAC, AIFF, FLAC, WAV, etc. to suitable format for your player and portable iOS/Android device. It allows you to download online video from YouTube, DailyMotion, Vimeo, TED, Facebook and more to your PC directly. Moreover, it provides with four ways to improve video quality, so that you can watch your favorite 4K UHD/HD movie with a clear screen and stabilized image. Tipard Blu-ray Player is the universal video playing software compatible with videos of any format on your computer, especially Blu-ray movies. It enables you to play Blu-ray Disc (an internal or external Blu-ray Drive is needed), Blu-ray folder or ISO files, even the latest-released Blu-ray movies smoothly. Moreover, it can be used as a common media player to play video and audio in any frequently-used video/audio format like MP4, MOV, MKV, AVI, TS, MTS, M2TS, FLV, MP3, AAC, AIFF, FLAC and more. It also supports 1080p HD and 4K UHD videos playing. Tiprad DVD Ripper is the best DVD ripping software which allows you to rip DVD to 4K UHD/HD video, convert DVD to any popular 3D/2D video with high quality and fast speed. For instance, you can convert DVD to MP4, AVI, FLV, WMV, MKV, MOV, H.264, H.265 and other 300+ formats. In addition, it can help you extract audio track from DVD. The ripped video/audio files are compatible with almost all iOS/Android devices like iPhone, iPad, iPod, Samsung, HTC, HUAWEI, Xiaomi and other Android phones. Moreover, it provides many creative editing functions for you to edit the output video. Tiprad DVD Creator is an easy-to-use DVD creating program which can help you to burn DVD disc/folder/ISO file with any frequently-used video format files. You are allowed to create DVD with video in the format of MP4, AVI, FLV, MOV, MKV, RMVB, MPEG, etc. In addition, you can use it to burn DVD folder/ISO file with the video you download form YouTube, Dailymotion and other popular sites. You can add audio track and subtitle to the output DVD. You can customize DVD file by trimming, cropping, adding watermark, adjusting effect and merging and so on. 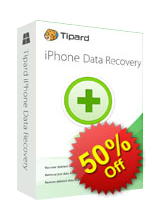 Tipard iOS Data Recovery is the powerful iPhone/iPad/iPod data recovery tool to recover deleted or lost files from iOS device like iPhone 7 Plus/7/SE/6s Plus/6s/5s/5c/5/4S, iPad Pro/Air 2/mini 4, iPod touch and more. It can recover text messages, contacts, photos, Safari bookmarks, reminder, notes, calendars, music files, etc. from your iOS device directly. It also has the capability to retrieve data from iTunes or iCloud backup in case your iPhone is lost or damaged. It is highly compatible with iOS 10, and it enables you to preview the missing data and select the specific ones to restore. 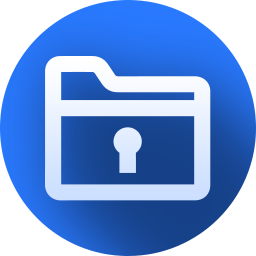 With the same way, you can handily back up the lost or still existing iOS files to your computer. greg5, if the license is other than a lifetime license, GotD now includes a separate statement at the end of the program's description -- in bold -- with the type or length of the license. greg5, if the license is <strong> other</strong> than a lifetime license, GotD now includes a separate statement at the end of the program's description -- in bold -- with the type or length of the license. Set the PC date for 2019 - I have not watched,I am waiting for an answer - Tipard Studio. Suze, Not always! :((( Tipard Screen Capture 1.1.10 - Giveaway of the day! - $25.00 1 Year - $25.00 http://www.tipard.com/purchase/screen-capture.html Tipard Studio - Silent: ((( Set the PC date for 2019 - I have not watched,I am waiting for an answer - Tipard Studio. greg5, well, I'd be disappointed if this program has a one-year license and GotD did not indicate this in its description . . .
greg5, well, I'd be disappointed if this program has a one-year license <strong>and</strong> GotD did not indicate this in its description . . . Installed fine on Windows 10. When recording only audio seems to record, no video. When playback get only black screen. Try many other free options they all work fine no issues. Contacted company requesting any assistance and maybe a reinstall . Thank you for using our program. We want to inform you that the code you get from the GOTD has the time limitation. You have to register the program on the day you got the registration code, or registration after that day will be invalid. The reg code will be invalid if you uninstall and install again, also it cannot support update. You can try it again. And do you mean that when you finished recording, and play it, then there will be black screen? If so, it did record successfully, right? Please try the latest version, if there is still any problem, could you please send us the screen shot of the error page? Company did offer to look at error codes. I figure, if they think that no video is ok, I would rather scrap it. Installed fine on Windows 10. When recording only audio seems to record, no video. When playback get only black screen. Try many other free options they all work fine no issues. Contacted company requesting any assistance and maybe a reinstall . -------------------------------- Dear Customer, Thank you for using our program. We want to inform you that the code you get from the GOTD has the time limitation. You have to register the program on the day you got the registration code, or registration after that day will be invalid. The reg code will be invalid if you uninstall and install again, also it cannot support update. Here is the latest version of Tipard Screen Capture: http://www.tipard.com/download/screen-capture.exe You can try it again. And do you mean that when you finished recording, and play it, then there will be black screen? If so, it did record successfully, right? Please try the latest version, if there is still any problem, could you please send us the screen shot of the error page? ------------------------------------------ Company did offer to look at error codes. I figure, if they think that no video is ok, I would rather scrap it. Installed on Vista but does not run - immediately deleted. Downloaded, unzipped, click setup Says activation successful use name and key then goes to GOTD Site says activation successful but no program launches and the program doesn't show up in program list- Windows 10! How to launch where to register?! Help please,only 2 hours left! Downloaded, extracted, double clicked set up,,,says activation successful register using name and key but no program launches. Doesn't show up in program list(Windows 10) Try to double click setup.gcd but won't open, says search for program in Windows store for app to open. where/how to open, activate, run,register?! Please help,only 2 hrs to go! Very simple and useful program. Fairly comparable with recordmydesktop. It looks like it is recording into RAM, then gives the option to save it to disk after the recording is completed. Program downloaded and installed OK on my Windows7, 32bit computer. I set the "Settings" menu to output MP3 and recorded a video from the monitor with no trouble. When reviewing the recording the first thing that happened is the audio control is set to 100% which is very LOUD!! Setting it to a lower level works but each time you run the program it is set back to 100% again. After reviewing the recorded video I selected "finish" and the program video was saved as a .wmv file. When GOM played the saved video I had trouble getting the GOM play Icon to stay set on "play". The video had no audio. Except that once in awhile the was a very short burst of static that sounded like dragging your fingernails over a blackboard from one stereo speaker and then the other. The 2nd video I recoded had no sound with the same screeches for audio with start/stop/speedup/slowdown appearing on the video. I checked the setup and found that the software had filled in the "settings" menu with data of the video and sound or maybe what the recorded video was outputting. The data looked proper except the output wasn't MP3 which I had selected. The program outputs wmv which isn't on the selection menu. It's an easy program to use but the GUI menus are much too large and overlap the portion of the screen I want to record when setting up the area to record. So each time I start the program I have to detach the menu and drag it away from the rectangle that will be recorded so I can set the boundaries. The program looks to be very good but it just doesn't work properly on my computer. Ashampoo Snap8 works fine on my computer. Program downloaded and installed OK on my Windows7, 32bit computer. I set the "Settings" menu to output MP3 and recorded a video from the monitor with no trouble. When reviewing the recording the first thing that happened is the audio control is set to 100% which is very LOUD!! Setting it to a lower level works but each time you run the program it is set back to 100% again. After reviewing the recorded video I selected "finish" and the program video was saved as a .wmv file. When GOM played the saved video I had trouble getting the GOM play Icon to stay set on "play". The video had no audio. Except that once in awhile the was a very short burst of static that sounded like dragging your fingernails over a blackboard from one stereo speaker and then the other. The 2nd video I recoded had no sound with the same screeches for audio with start/stop/speedup/slowdown appearing on the video. I checked the setup and found that the software had filled in the "settings" menu with data of the video and sound or maybe what the recorded video was outputting. The data looked proper except the output wasn't MP3 which I had selected. The program outputs wmv which isn't on the selection menu. It's an easy program to use but the GUI menus are much too large and overlap the portion of the screen I want to record when setting up the area to record. So each time I start the program I have to detach the menu and drag it away from the rectangle that will be recorded so I can set the boundaries. The program looks to be very good but it just doesn't work properly on my computer. Ashampoo Snap8 works fine on my computer. The key isn't working. I followed the instructions VERY carefully. I tried registering the product though, and it says the code is invalid. 1) It wouldn't let me capture in any video mode but .mwv. It said my system wasn't capable of capturing .mp4 video. This is strange since I use my Hauppage TV card and software to capture .mp4 files all the time. So there is an extra step needed to convert the .wmv files to .mp4. 2) You can't set up your browser to play a video and then put the Capture Screen video on top of it and move the screen around. So I have to lower Capture Screen software and move my browser window to where I think the capture will take place and bring the Capture Screen software back up and see how close it is. It takes a few tries to get it close to where I want it. Then I can adjust the output using my VideoReDo Video Editor. I am using surprised that it installed and worked so well right out of the box on my Win7 Pro desktop. Only 2 criticisms that I can think of: 1) It wouldn't let me capture in any video mode but .mwv. It said my system wasn't capable of capturing .mp4 video. This is strange since I use my Hauppage TV card and software to capture .mp4 files all the time. So there is an extra step needed to convert the .wmv files to .mp4. 2) You can't set up your browser to play a video and then put the Capture Screen video on top of it and move the screen around. So I have to lower Capture Screen software and move my browser window to where I think the capture will take place and bring the Capture Screen software back up and see how close it is. It takes a few tries to get it close to where I want it. Then I can adjust the output using my VideoReDo Video Editor. Installed ok records , playback is just black screen. Some of you may find this hard to believe, but I've been downloading and successfully installing software (including this one) from GAOTD for a few years now - running XP, W7 and W8.1 - and never had a problem! My only suggestion is that you follow the instructions carefully. Works for me, anyhow. Same problem here, nothing happens when i click on the program icon in Windows XP ,tried multiple times. I have Windows Pro 7. I went through the e-mail link for the download instead of doing it through FaceBook. When I unzip the file and try to run setup.exe, I get a pop-up window (with "Giveaway of the Day" in the upper left corner) that says "failed to launch program. This is an awesome screen recorder, judging from the recordings I am already doing with it. The Audio Recorder can be used alone, and I suspect so to can the video recorder, allowing one to record what is being done on your screen, like a slideshow of my art, animations, procedures in one of my art applications showing how to do something, etc. I know it can also record both at the same time, but I need to find a way to activate my microphone jack on my computer. I think Windows 10 deactivated it. If anybody can direct me to instructions on how to reactivate it for free, I'm open for suggestions. Exactly the same installation failures happen IF anti-virus is not temporarily disabled beforehand. Won't install on Vista. After clicking on install, the GAOTD activation screen comes up, then the web page, but the install process won't start. This has become a common problem with GAOTD. Squire, You're not alone it don't work too on my trusty Commodore 64. Croco, Bloody early adopters. Always skiting about having the latest gear. Croco, The God's have spoken. only drawback is it doesn't capture specific URL, so if you're recording a video on one tab, then switch to another tab to do something entirely different, it will capture that also. Pretty good screen capture copies and saves any video format, flash, youtube, etc option of capturing entire screen or limited area only drawback is it doesn't capture specific URL, so if you're recording a video on one tab, then switch to another tab to do something entirely different, it will capture that also. Installed with no problems in Windows 10 and looks good. Easier to use than some video capture programs I have tried previously. Definitely a keeper. Downloaded OK, recorded video and got a lot of background audio noise, (banging and popping). Never mind the noise if comming from here in the room. Did not know it picked up all external background noise. I didn't find such an option in the today's giveaway. Beside that- I like it. Sorry, but the product doesn't exist "which can substantially compress the original captures without loss of quality". If you're going to compress videos, you have to accept a loss in quality. The smaller the viewing frame size, the less obvious it is, but nonetheless there's a definite loss in quality. DComedian, Sorry, but the product doesn't exist "which can substantially compress the original captures without loss of quality". If you're going to compress videos, you have to accept a loss in quality. The smaller the viewing frame size, the less obvious it is, but nonetheless there's a definite loss in quality. Norton's reaction to attemped installation. it lock up on me when it first started and told me to send file to Tipard, what away to run a business. OMG ......... I just installed this Tipard Screen Capture and I navigated through it for the past hour and I absolutely love it. I've been using Windows 10 Snipping Tool and after reviewing the documentation, comments and the software itself I've realized there is no comparison to this software unless you pay a fortune. Thank you GOTD ... Happy Holidays and good luck in the upcoming year to you as well as all these folks posting and reading these comments. OMG ......... I just installed this Tipard Screen Capture and I navigated through it for the past hour and I absolutely love it. I've been using Windows 10 Snipping Tool and after reviewing the documentation, comments and the software itself I've realized there is no comparison to this software unless you pay a fortune. Thank you GOTD ... Happy Holidays and good luck in the upcoming year to you as well as all these folks posting and reading these comments. I have friends and family members who don't use the keyboard prt sc because they don't know how to manage the output. The ignorance of one friend was actually deepened by some daft know-all who said you can only paste prt screen output into a document because the capture doesn't exist as an actual image. What tosh. I use prt sc whenever I'm in Full Screen mode -- for instance, in a Bing map -- and require an editable image of what I'm looking at. Simply hit prt sc, then exit Full Screen, open whatever is your preferred image editing program (or Microsoft Paint if you don't have a preference) and click immediately on paste. I know it sounds simple -- it is -- but I've been surprised, the number of times someone has said to me that they couldn't use their image software when in Full Screen because, er, they couldn't get at it. Doh. As to today's offer, thanks GOTD but I already have a screen recorder. Best wishes to the team though, and seasonal greetings to all GOTDers everywhere. <b>Contevou:</b> Bit baffled that you seem to be comparing a snipping tool for screen captures with video software for screen recording; if all you wish to do is the former then it's not necessary to install the latter. On which note, and because it's Christmas, you (and maybe others?) might like a quick tip: I have friends and family members who don't use the keyboard <b>prt sc </b> because they don't know how to manage the output. The ignorance of one friend was actually deepened by some daft know-all who said you can only paste prt screen output into a document because the capture doesn't exist as an actual image. What tosh. I use prt sc whenever I'm in Full Screen mode -- for instance, in a Bing map -- and require an editable image of what I'm looking at. Simply hit prt sc, then <b>exit Full Screen,</b> open whatever is your preferred image editing program (or Microsoft Paint if you don't have a preference) and click immediately on paste. I know it sounds simple -- it is -- but I've been surprised, the number of times someone has said to me that they couldn't use their image software when in Full Screen because, er, they couldn't get at it. Doh. As to today's offer, thanks GOTD but I already have a screen recorder. Best wishes to the team though, and seasonal greetings to all GOTDers everywhere. MikeR: typing too fast -- should've said, "they couldn't get at their screen image snippig software". Too early on the wine, I reckon. Giveaway of Tipard Screen Capture don't work. I download it, extract and run setup.exe (admin right) but I received an error and setup is corrupt ! ttnd, Disable anti-virus protection Download this offer again Install, register, done. OR boot into safe mode with networking Download this offer again Install, register, done. It is confirmed that this does not run on XP. I checked the program folder and noticed some side effects on other software. It seems to use SQL and also has a Visual C++ manifest. My ACDSee went a little haywire. Also seems to point ACDSee towards DXO Viewpoint, for no reason at all. Uninstalled the Tipard Screen Capture software that cannot run. In addition did a system restore to a point before this software was installed. If it works for you, good. A rival software named ZD-Soft Screen Recorder is very good. If you have that, then you do not need this Tipard Screen Capture. It is confirmed that this does not run on XP. I checked the program folder and noticed some side effects on other software. It seems to use SQL and also has a Visual C++ manifest. SQL has known issues. My ACDSee went a little haywire. Also seems to point ACDSee towards DXO Viewpoint, for no reason at all. Uninstalled the Tipard Screen Capture software that cannot run. In addition did a system restore to a point before this software was installed. YMMV. If it works for you, good. A rival software named ZD-Soft Screen Recorder is very good. If you have that, then you do not need this Tipard Screen Capture. Same problem for me as #4 comments.... It will not launch on Win XP sp3. And no, I am not trying to do it on a virtual machine. It just will not go. There are excellent video free downloading programs. The one I use also plays music & audio web streams. Instructions are clear & to the point. To David #6: It is indeed a recorder and also a screen shot capturer. Mine installed perfectly on Win. 7 Home Pro. The name and reg. # were already in the program ready to register. If yours doesn't have that, just read the READ ME page enclosed with the program. Great App. TY GOTD. is this better than the free windows app ShareX? have yet to find any app to match or best that wonderful find. do yourself a favor and at least compare this and ShareX and decide for yourself. I think really though all you are doing is hijacking this review site to push Sharex. Do you work for or get compensation from them perhaps? alex, WoW, Really? all you're doing here is schilling another product. You ask if it's better than Sharex then suggest people compare it. How about you compare it yourself. THEN come back and do a review. (which is what this site is actually for by the way) I think really though all you are doing is hijacking this review site to push Sharex. Do you work for or get compensation from them perhaps? Doesn't activate with the name and registration key provided. It downloaded as normal for me. Installed and registered without having to visit the web site with pre entered key on windows 10. Don't know if I'm technically correct but I call this a "screen recorder" not a "screen capture". For me screen capture programs do the equivalent of the old "print screen command button" but more advanced. I think this make a video of what you can see on your screen. I would suggest a change of name. It downloaded as normal for me. Installed and registered without having to visit the web site with pre entered key on windows 10. Don't know if I'm technically correct but I call this a "screen recorder" not a "screen capture". For me screen capture programs do the equivalent of the old "print screen command button" but more advanced. I think this make a video of what you can see on your screen. I would suggest a change of name. MikeR, could not agree with you more. I also reported many times to Opendns that Tipard is not an adware site and should not be blocked. Long ago I reported to mywot their own site as being untrustworthy. WOT is nonsense. It doesn't launch AT ALL! lg, It does not launch on a virtual XP, and gives an error message on a virtual W7 32. It runs fine on a virtual W10 64 Enterprise LTSB. lg, ME to, I'll know in a few minutes whether I'm "P" off or not.......IF I can activate it, IF I can get it to install........stay tuned IF. krypteller, It also does not launch on a real XP with SP3. Downloaded link, but there is NO Setup.exe file! What's going on? No setup.exe? Try disabling your anti-virus first before downloading. Derek, No setup.exe? Try disabling your anti-virus first before downloading. Jameston, your on the mark, over a LONG period of time I've downloaded dozens of pgms to give it a try.......in recent times it's almost a waste of time........downloading, re-downloading, trying to install several times, and a real challenge ever getting many of them activated.....too often my time is worth many time the time I spend "playing" to get some pgm to TRY.......I'm not blaming GOTD......but something is WRONG. Worse, some are TOTALLY worthless but thank-goodness for REVO......2 minutes and I'm back to the beginning.......Clean house. Jameston, your on the mark, over a LONG period of time I've downloaded dozens of pgms to give it a try.......in recent times it's almost a waste of time........downloading, re-downloading, trying to install several times, and a real challenge ever getting many of them activated.....too often my time is worth many time the time I spend "playing" to get some pgm to TRY.......I'm not blaming GOTD......but something is WRONG. Worse, some are TOTALLY worthless but thank-goodness for REVO......2 minutes and I'm back to the beginning.......Clean house. The one thing that BUGS me is the "download' BS as I Don't and Won't every use Facebook to get "anything" so then the challenge is getting the "link" in my Email........too often it "never comes". Jameston, I hope you get an answer on this because I have been unable to install several downloads recently with what I take to be the same scenario. That is, (1) Windows asks permission for the installer to make changes to my computer; * (2) the installer shows a message that it is checking GAOTD availability; (3) The "Successfully Activated" pop-up appears. But I find no sign that an installation has taken place. * The certificate shows valid dates 8/11/13 to 8/11/16. Is that significant? Merry Christmas, GAOTD staff, users, and providers. Jameston, I hope you get an answer on this because I have been unable to install several downloads recently with what I take to be the same scenario. That is, (1) Windows asks permission for the installer to make changes to my computer; * (2) the installer shows a message that it is checking GAOTD availability; (3) The "Successfully Activated" pop-up appears. But I find no sign that an installation has taken place. * The certificate shows valid dates 8/11/13 to 8/11/16. Is that significant? Merry Christmas, GAOTD staff, users, and providers.